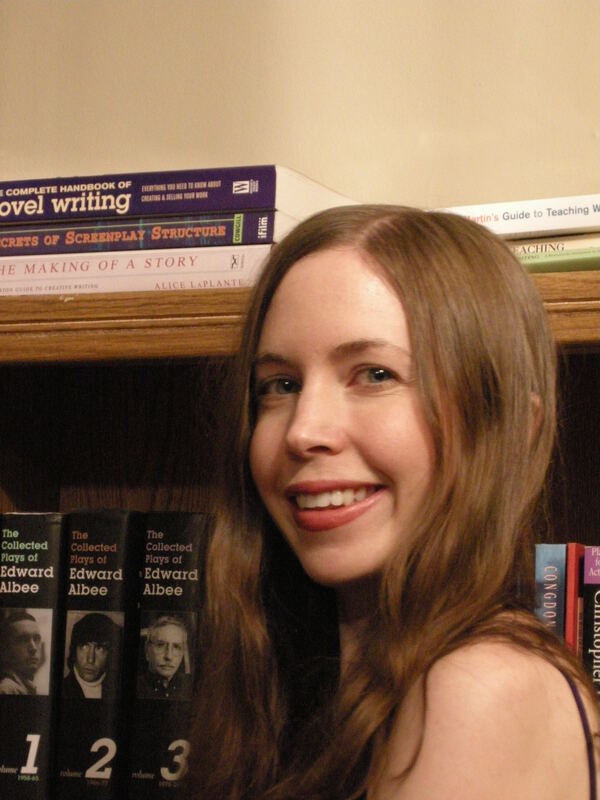 Laura Cotton, MFA, MA, previously known as Laura Grabowski, taught English at The University of Memphis and Crichton College in Memphis, TN. She has a MFA in Screenwriting and Playwriting from Florida State University’s College of Motion Picture, Television, and Recording Arts. She also has a Master’s in English Literature and a Bachelor’s in Communication from George Mason University in Fairfax, Virginia. Screenwriting Accomplishments: All of Laura’s screenplays have won awards. Laura’s screenplay, Dating Santa’s Daughter, won first place in the Writer’s Place Competition and was in the top 10% of the Nicholl Fellowship Competition, the most prestigious screenwriting competition in the country. The script was also a finalist in the Austin Film Festival and a semi-finalist in the 2008 StoryPros Screenwriting Contest. Her screenplay, Eight Days Till Dawn, was a finalist in the Virginia Governor’s Screenwriting Contest. Her screenplay, Dragonhood, won the Judge’s Choice award in the Writer’s Initiative Contest. Her television spec script was a 2008 AAA Quarterfinalist. Her most recent accomplishment is that her screenplay, The UnEngagement, was a winner in The 2008 Art Within Labs Screenwriting Fellowship, a semi-finalist in the 2009 Cinestory Screenwriting Competition, a finalist in the 2010 20/20 Screenplay Contest, and an official selection of the 2010 Astoria/LIC International Film Festival. Playwriting Accomplishments: Laura’s monologue, Running Giraffe, was published in December 2007 in volume II of Young Women’s Monologue’s From Contemporary Plays. Her ten minute play, The Perfect Proposal, will be published in the Winter of 2008 in The Best Ten Minute Plays of 2007, for 3 or more actors. Her ten minute play, The Charm of the British, will be published in 2008, in The Best Ten Minute Plays of 2008, for 2 Actors. Her ten minute play, The Baby War, will be published in 2008, in The Best Ten Minute Plays of 2008, for 3 or more actors. Laura’s children’s play, The Upside of Art, was a semi-finalist in The 2007 Jackie White Memorial National Children's Play Writing Contest. Her ten minute play, Something Called Truth, was recently chosen to be performed as part of the 2007 Provincetown Spring Playwrights Festival. Her one man show, Houdini: The Final Escape, was selected to be a part of the 2007 15th Annual Last Frontier Theater Conference. Magazine Writing Accomplishments: Laura has written monthly columns for both MemphisHealth and Fitness Magazine. Laura has also written book reviews for Northeastbookreviews.org.